Last week, I posted my thoughts on Andy Weir’s The Martian. It’s easily one of the best science fiction books of the century. Fortunately, Ridley Scott’s film adaptation is very faithful to the novel. I won’t summarize the plot again (just read it here), but if you like the book, you’ll like the film. That said, there are a few notable differences that make the film a unique experience. I’m (finally) going to see Ridley Scott’s adaptation of The Martian tonight. In honor of that occasion, I am posting my review of the original novel. I’ll post a review of the movie early next week. 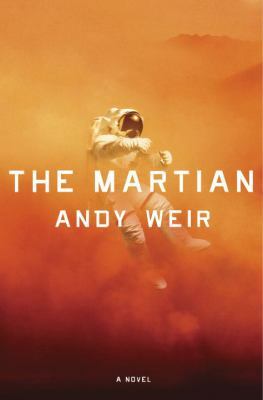 “The Martian” by Andy Weir coming to the Big Screen! The website Shortlist has put out a list of popular books slated to become movies in 2015. Of these, I’ve only read Andy Weir’s The Martian, which is excellent. I will post my review of the book closer to the movie’s release date. Fortunately, with Gravity and Interstellar, Hollywood seems more willing and able to produce intelligent science-fiction films. Gravity in particular might be a good model for The Martian. Ridley Scott my favorite director and I’m sure the movie will look visually stunning. I’m a bit less confident in the casting. Matt Damon has been cast to play the lead, scientist Mark Watney. Damon has never impressed me as an actor who can pull off the quirky, brainy type – and Watney is nothing if not quirky and brainy. Still, I’m definitely looking forward to this film.